But one thing I would like to promise myself in 2014 is to appreciate the Earth for all its grandeur as Mary Oliver so eloquently expresses in her poem, Starfish, “while I lay on the rocks, reaching into the darkness, learning little by little to love our only world.” We live on a precious planet that while resilient in some respects is constantly being assaulted by our reckless habits. If you’re interested in learning about the implications of our uncontrolled growth and demand for more and more things, read this piece in yesterday’s New York Times, Pollution Rising, Chinese Fear for Soil and Food. If we continue to show little respect or love for planet Earth, where will our species be in the near future? A world without starfish? We need to teach our students to appreciate Earth’s bountiful gifts, and become worthy stewards of all that has been bestowed upon us. 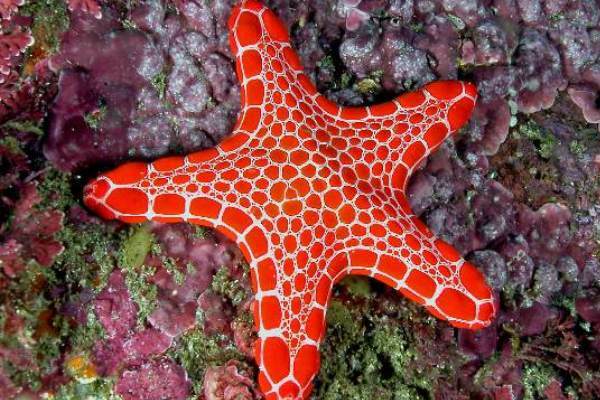 Abusing it for our own self-interest will only endanger the starfish, and ultimately the human species. Here is Mary Oliver’s wonderful poem for inspiration to love our planet. It comes from her book of poetry, Dream Work. I feel our Bee Project directly relates to the Starfish! I think the Bee Project is the 1st grade’s journey to connecting students to the world they live in. In why ways are bees important to our lives? Why should we (humans) work so hard to make sure bees are well cared for? So I think you are right…it is your starfish. I find it interesting that in Mary Oliver’s poem, she does even mention the word starfish. It is all about images. I wonder what kind of poems 1st graders would write about bees. Is that part of the project?